Are you celebrating a holiday that involves the giving of presents? If you're not, you're still surrounded by the decorations and the advertising and the events. It's a good time to think about what it takes to give a good gift. 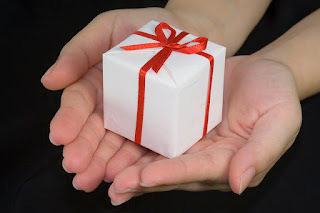 Is a good gift the thing you that someone asks you to give, the thing that they want but won't ask you to give, the surprise they might not know they want until you give it? Here's the gift that grows all the other good gifts, the gift that changes a hit-and-miss process into a sure thing. It's the gift of curious attention. Giving a present begins in being present. This should be automatic, but we often go a very long time without being curious about the people we love. We make a lot of assumptions based on how things have always been. Setting goals is supposed to be a way to begin with the end in mind. But for many people, setting goals is an exercise in making a wish list or taking whatever they did last year and adding a few percent. That's more like ending with the beginning in mind. 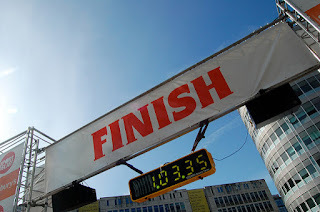 the final part of somethinga death or terminationa goal, purpose or mission When you begin with the end in mind, you begin by getting to know the future you want to create. Just as you don't know a person just because you know their name, you don't know your future unless you spend some time knowing how it looks and sounds and feels, who it hangs around with, and what actions it inspires you to take.